Like Snake, calm and collected. 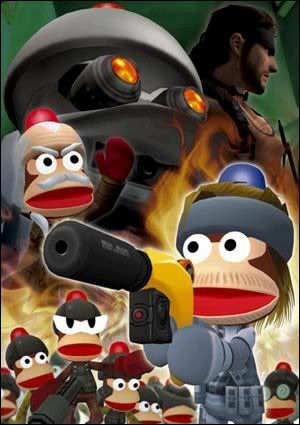 Game:Ape Escape 3 Minigame "Mesal Gear Solid"
History with your Amigo:Pipo Snake is the Monkey cration of Solid Snake, with data upladed into his monkey helmet. Amew can conatct Pipo Snake via codec and ask him for backup. I could Approve him with just the standard attack so you can use him in topics, would you like that for now? Alright, Then it's Approved! PM me when you want to add Skills.